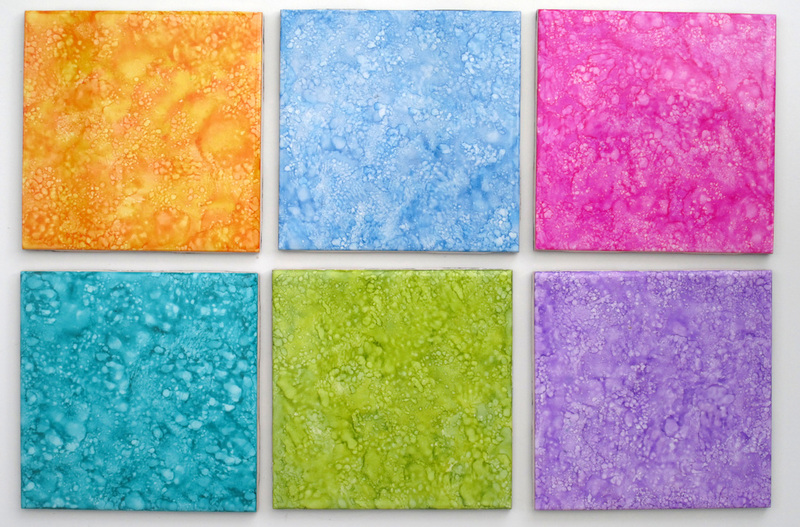 Step 1 - Choose your background ink color from over 10 colors and combinations. 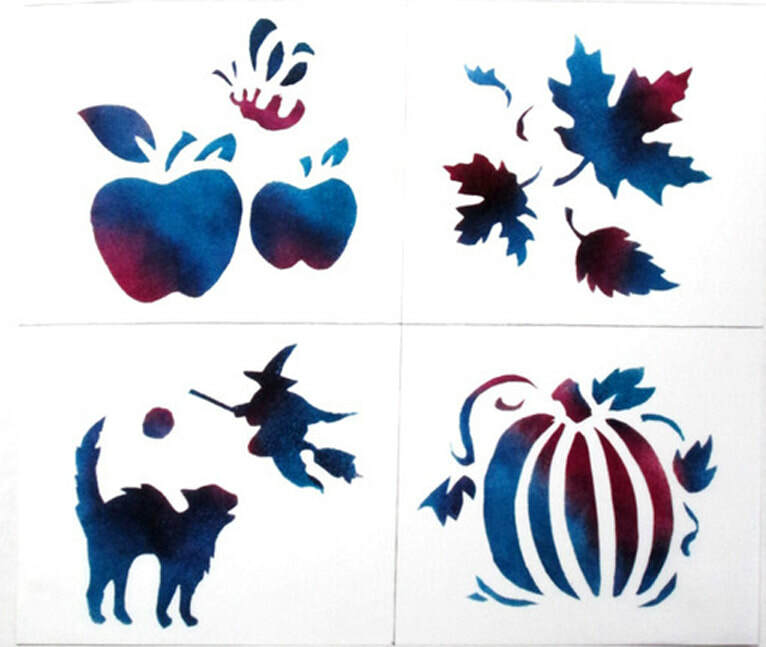 Step 2 - Select your stencil from over two dozen of Sandy's unique hand cut designs. Step 3 - Detail your design with white and black markers, or not! 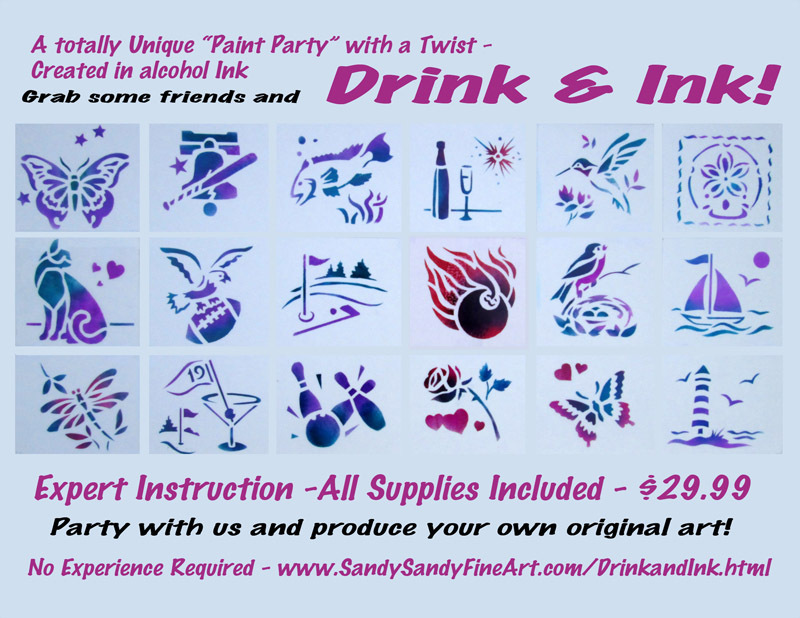 Here are some of Sandy's new, original Drink and Ink stencils, all designed and made by Sandy individually. Plan to arrive 15 minutes before the event begins to check in. 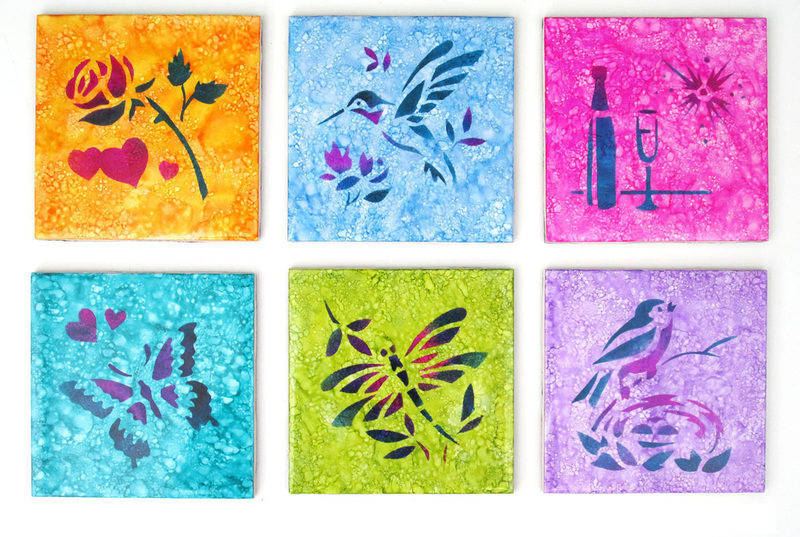 This will allow you time to get settled, select your seats, your stencils and your inks.